We have been watching the new Cosmos series and enjoying it immensely. If there is a better show on television for kids and adults alike please clue me in. 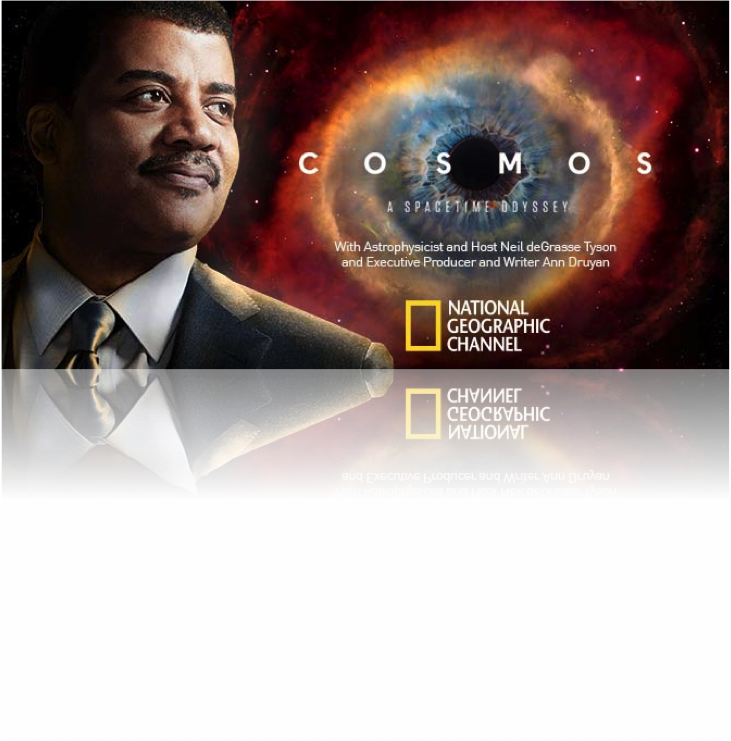 Neil deGrasse Tyson’s ability to boil down the complexities of science – from astrophysics to cell biology – and present them in digestible, fascinating one hour servings has kept us riveted during our Sunday night viewings; the most anticipated family moment in the Magill household since Mutual of Omaha’s Wild Kingdom! If news gives us breadth, then knowledge offers depth, expanding our appreciation for how things work, how cosmos – from the infinitely large to the atomically small – operate and interrelate, how to grow personally and create; knowledge gives us the tools and rules under which our Intérprize plans – our fabulous pursuits of passion – will be realized. The internet is a peerless resource, a seemingly boundless well of information, both enlightening and distracting. A challenge with its ubiquitous nature – for the internet is now being pushed out to our computers, televisions, phones, glasses, watches and automobiles, and moving quickly to most all other consumer electronics (the internet of things) – is our own submission to distraction. My resistance has its limits and at some point the headlines in commanding bold font about bawdy entertainers having a naughty night out, heinous crimes under investigation, last minute sports victories, and new restaurant or movie reviews break me down. At some point the internet is no longer our tool, we become the tool for advertisers and click through fees. Everything orbiting our universe serves as a personal anchor or sail, and at this point the value polarity of constant connectivity flips. Acknowledging my own feeble restraint and keeping with the science theme I am conducting an experiment this week: no internet browsing period, and email checking – another bottomless black hole – is done just twice daily: before 9 a.m. and again after 5 p.m. Internet searching, on the other hand, is permitted as needed in the quest for helpful knowledge, like ferreting out the few historical references in this piece. For weekly news of world events I’m sticking to the Economist magazine, which I find balanced, comprehensive, and an effective sleep aid when administered just before bedtime. Local news is coming from La Provence, the daily bible best consumed with a late-afternoon pastis at one of the many cafes in the neighborhood. Our parents grew up with the morning paper, the radio at noon, and the nightly news. They managed, despite the unthinkable handicap of no internet access, to grow economies and provide jobs, put men on the moon, cure cruel diseases like polio, and set their children up with better qualities of life than they themselves enjoyed. Can the internet generation claim the same? Thanks for the tip Bryan, I thought you would enjoy the post. FYI I worked with a startup in the optical tweezers space last weekend. Deep stuff!